People who suffer from high blood pressure often wonder if there are ways to lower blood pressure naturally. Well, indeed, there is. Diet and exercise are already well-known remedies for high blood pressure. Less well known, perhaps, is that yoga offers natural therapy for high blood pressure as well. Numerous studies show that yoga therapy can be a great remedy for high blood pressure, with results showing up in as little as twelve weeks. To understand how yoga might lower blood pressure naturally, let's take a look at what high blood pressure is and how it is what causes high blood pressure. Our blood flows through the body at a certain level of pressure; this is necessary for the blood to effectively reach all parts of the body. High blood pressure arises when this pressure exceeds its normal range. Blood pressure remedies are among the most frequently prescribed drugs, because high blood pressure is not just a risk factor for heart disease, but also for stroke, kidney failure, and arterial aneurysm (a balloon-like bulging of the blood vessels, generally in the brain). Even a slight increase of blood pressure over the long term will lead to a shorter life expectancy. Temporary increases of blood pressure are common when we are exposed to stress, anger, anxiety, excessive thinking, or mental tension. Physical exertion will also cause temporarily elevated blood pressure. For the most part, when the stressor that caused the blood pressure to rise disappears, the blood pressure naturally lowers back to normal. 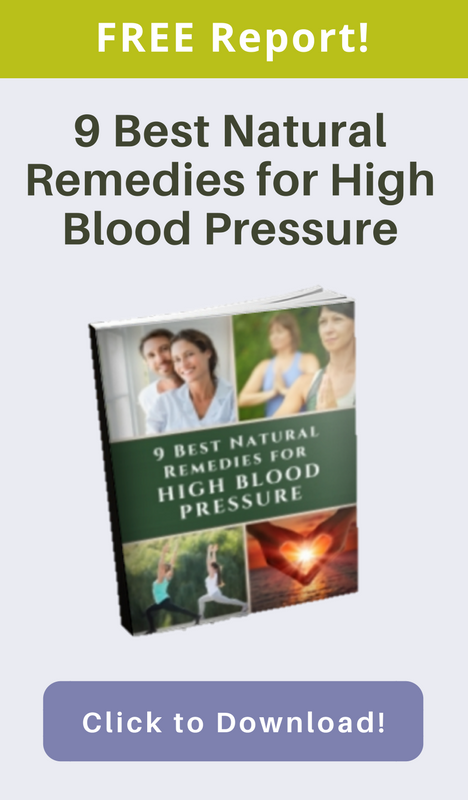 Unfortunately, many people have permanently high blood pressure. The reasons why high blood pressure is so common are not completely understood. However, it is known that stress often is a big factor. Stress affects blood pressure by causing increased heart rate and constriction of the blood vessels. While this increased blood pressure will return to its previous level once the stressful situation passes, prolonged periods of stress may result in chronically elevated blood pressure. In addition, chronic stress often leads to behaviors that increase blood pressure, such as over-eating, eating unhealthy foods, drinking too much alcohol, and not taking time to do things that lower blood pressure naturally, like exercise or relaxing. From the perspective of yoga therapy and Ayurveda, the main cause of high blood pressure is to be found not as much on the level of the physical body, but rather can be traced to mental activities. High levels of mental activity or mental strain over a long period of time create hyperactivity in the sympathetic nervous system, which in turn may lead to high blood pressure. The drugs for high blood pressure prescribed by your doctor don’t lower your blood pressure naturally, so as soon as the effects of the medicine wear off, the blood pressure rises again. The best remedy to lower blood pressure is to remove the underlying causes of high blood pressure, including excess mental stress and strain. Of course, in our modern world, this isn’t really possible. The other alternative is to help the nervous system naturally quiet down. This is where yoga therapy can be very useful as a way to calm both mind and body. Two studies published in the British medical journal The Lancet, showed that simply practicing the simple yoga pose Savasana (Corpse Pose) for three months led to a 26- point drop in systolic blood pressure and a 15-point drop in diastolic blood pressure. A complete program of yoga asanas and yoga breathing is often even more effective at lowering blood pressure naturally. However, some yoga poses, such as inversions, are not recommended for people with high blood pressure. In short, if you suffer from high blood pressure, be sure to let your yoga teacher know, or for even better results, find a yoga therapist to work with.